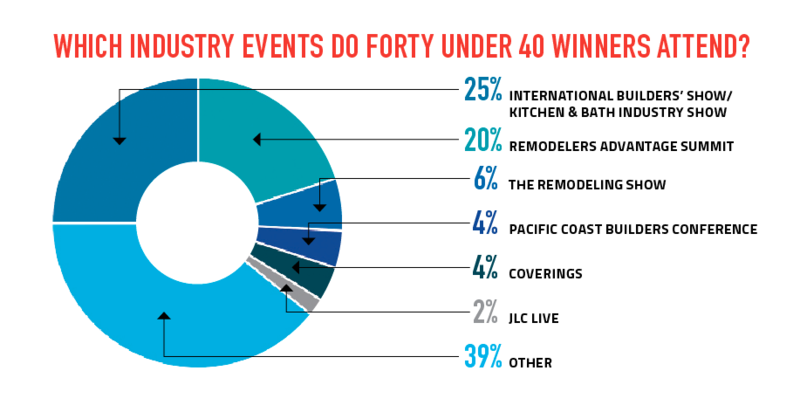 Our annual Forty Under 40 represents the now of the remodeling industry: the new ideas gaining steam and the innovative strategies destined for standardization. It also provides insight on what it takes to achieve young success in today’s competitive market––because while our winners each built careers from different circumstances, professionally speaking, they actually have a lot in common. How do we know? We asked them. Residential remodelers employ about 300,000 carpenters, production managers, etc., in the U.S., according to the most recently available census data. 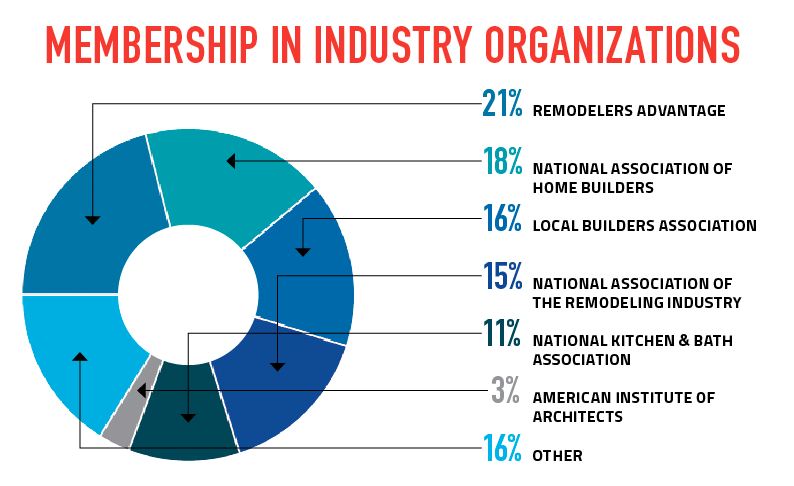 The National Association of the Remodeling Industry has a total membership of about 6,500. The National Kitchen & Bath Association has a bit more than double that. 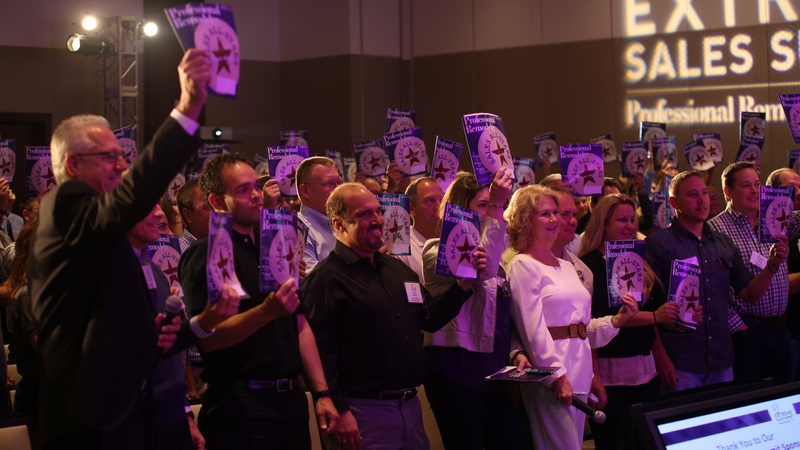 And the National Association of Homebuilder’s remodeling arm, NAHB Remodelers, represents a membership of upwards of 53,000. Even rounding those figures up to the nearest ten thousand, all three memberships combined (ignoring the likely overlap) account for less than a third of the industry’s employment. Eighty percent of our Forty Under 40 winners this year are a member of at least one association, with similar splits between NARI, NAHB, Remodelers Advantage, and NKBA. Some interesting correlations we saw were: 1. Remodelers Advantage-member business owners averaged a 2017 revenue about $300,000 higher than non-RA members; and 2. Owners with two or more association memberships averaged a 45 percent increase in revenue from 2016 to 2017. This year’s Forty Under 40 class demonstrates a level of industry involvement that extends beyond association memberships. Our young professionals lean into the whole “industry expert” thing. 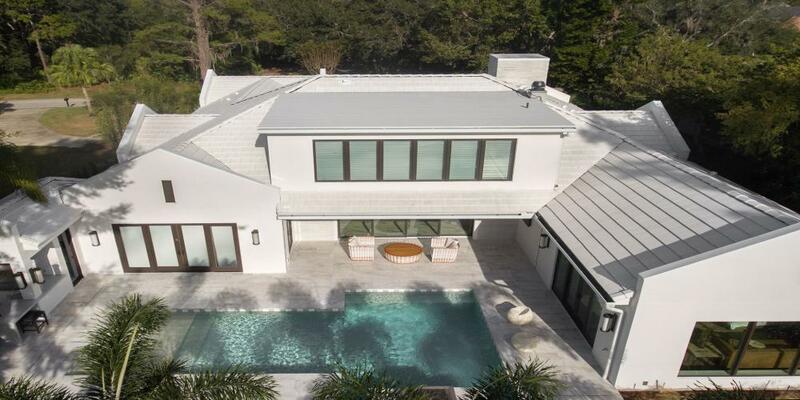 For one, nearly two-thirds of our winners hold certifications, with popular specialties including green building/design and aging-in-place––two schools of remodeling in growing demand. 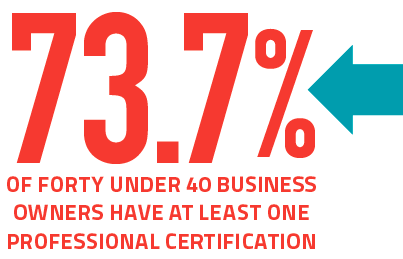 No group is better certified, though, than our winning business owners. Seventy-four percent have at least one certification, and alone the group (of 19) accounts for over two-thirds of all certifications held by our winning class. Secondly, all but four of our winners (90 percent) attend at least one industry event a year, including all sales persons and designers. Not surprisingly, the industry’s biggest event, IBS/KBIS, was also its most well attended, with 25 percent of our winners making the trip yearly. But association memberships and certifications and events aside, something our members share that is really hard to fast track, like joining NARI or checking out IBS/KBIS, is experience. While our winners’ average age is 34.5 years old, average experience is 13.2 years (i.e., 528 years of combined experience). In several cases, our winners have been on jobsites or working in the industry, whether directly or adjacent, like with a parent, since they were teenagers. Andrew Lethin, co-owner of C&R Remodeling, is only 33 years old but has been doing the work with his father since he was 14. No group is more seasoned than our production winners, who average 15.5 years of experience. Though, even some of our less experienced groups, like our designers, still average 10 years. There’s not really a number you can assign to “what’s a good amount of experience to have,” but there’s a school of thought that, assuming it’s the right kind of experience, the more the better. At the very least, it indicates a consistency and a commitment to craft. Is there a list of these remodeling professionals? I would like to find out if any of them are in my area, I have a future project. You can find their respective locations on their individual pages.